Dr. Gelbman is an Associate Clinical Professor of Medicine at Weill Cornell Medical College and New York Presbyterian Hospital. He is Board Certified in Pulmonary, Sleep, Critical Care and Internal Medicine by the American Board of Internal Medicine. He has been recognized by Castle Connelly, New York Magazine and Superdoctors as a “Top Doctor” in the field of Pulmonary Medicine. He is the past President of the New York Thoracic Society 2014-2015. Dr. Gelbman has advanced training in Bronchoscopy such as endobronchial ultrasound guided biopsies of lymph nodes and Navigational Bronchoscopy. 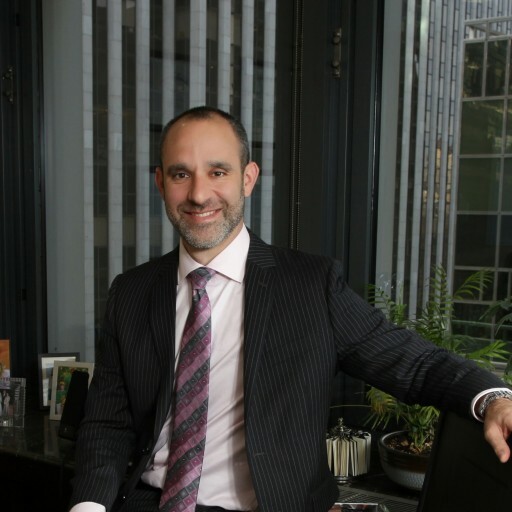 Dr. Gelbman is Associate Clinical Professor of Medicine at New York Presbyterian Hospital and Weill Cornell Medical College. He is board certified in Internal Medicine, Pulmonary Medicine, Sleep Medicine and Critical Care Medicine by the American Board of Internal Medicine (ABIM). Dr. Gelbman was President for the New York State Thoracic Society 2014-2015. 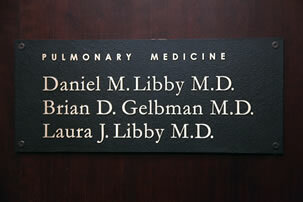 Dr. Gelbman’s special area of interests include early detection of lung cancer and has advanced training in bronchoscopy techniques for diagnosing lung cancer, such as Endobronchial Ultrasound Guided biopsy (EBUS) and Navigational Bronchoscopy. Dr. Gelbman has performed research in Chronic Obstructive Pulmonary Disease (COPD), emphysema and ciliary disorders of the airway. He has written several original articles, reviews and abstracts on COPD, Idiopathic Pulmonary Fibrosis, Bronchiolitis Obliterans, and smoking related disease of the lungs. Dr. Gelbman was raised in South Florida and Peekskill, NY. After attending Cornell University in Ithaca, NY for his undergraduate training, and Vanderbilt University School of Medicine for medical school, he returned to New York Presbyterian Hospital for his post-graduate training in Internal Medicine and Pulmonary and Critical Medicine. During his residency training at Cornell, he met his wife, Joy Kaplan Gelbman M.D., who is now a Cardiologist at New York Hospital – Weill Cornell Medical Center. Together, they have three children and live in Brooklyn Heights. Libby LJ, Gelbman BD, Altorki NK, Christos PJ, Libby DM. Surgical lung biopsy in adult respiratory distress syndrome: a meta-analysis. Ann Thorac Surg. 2014 Oct;98(4):1254-60. Gulati CM, Schreiner AM, Libby DM, Port JL, Altorki NK, Gelbman BD. Outcomes of unresected ground-glass nodules with cytology suspicious for adenocarcinoma. J Thorac Oncol. 2014 May;9(5):685-91. Gelbman BD, Libby DM, Overstating Overdiagnosis in Low-Dose Computed Tomography Screening for Lung Cancer, Correspondence, JAMA Internal Medicine, 2014 Jul;174(7):1197-8. Gelbman BD, Gelbman JK, Is it always wrong to perform futile CPR, Correspondence, New England Journal of Medicine, 2010, 362:21. Gelbman BD, Gelbman JK, Deconstructing DNR, Journal of Medical Ethics, 2008, 34:640-641. Gelbman BD, Heguy A, O’Connor TP, Zabner J, Crystal RG, Upregulation of pirin expression by chronic cigarette smoking is associated with bronchial epithelial cell apoptosis, Resp Research, 2007, 8(1): 10. Gelbman BD, Crystal RG, Idiopathic Pulmonary Fibrosis and Idiopathic Bronchiolitis Obliterans, The Autoimmune Diseases, editors: Rose and Mackay, Academic Press, 2006. Gelbman BD, Total Educational Debt may be more important than monthly debt payments on career choices. AJRCCM, 2006; 173:193. Gelbman BD, King TK, Response to Long Term Macrolide Therapy in a Patient with Cryptogenic Adult Bronchiolitis Chest 2004, 126. Flieder, DB., Vora, SK., Sanders, A, Gelbman, BD, Benign Thymic Hyperplasia As a Cause of Anterior Mediastinal Mass After Chemotherapy Chest 2004 126: 929S-930S. Gelbman, BD Why Medical School Should be Free, The Chronicle of Higher Education, 2003.